Acupuncture Provides Short-term Pain Relief for Patient in a Total Joint Replacement Program. This observational study from 2015, investigated acupuncture as an adjunct therapy for post-surgical pain management. The study tracked patients who elected to add acupuncture treatment, free of charge, to their post total knee or total hip replacement surgery rehabilitation. The study a also tracked self-reported pain. The study took place at Abbott Northwestern Hospital in Minneapolis, MN. The sample included 2,500 admissions from 2,282 unique patients for total hip and total knee replacement. Exclusions resulted in a sample of 1,977 applications of acupuncture treatment for analysis. Self reported pain was assessed before and after acupuncture using a 0-10 scale. Seventy-five percent of the admissions elected to have acupuncture. 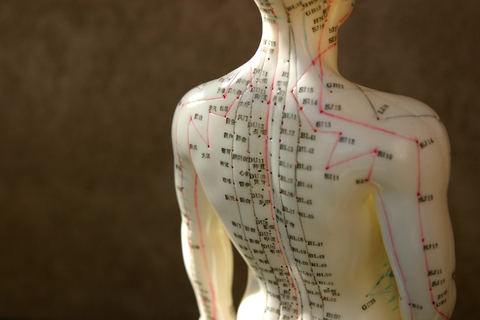 Women had higher odds of receiving acupuncture compared to men and non-white patients. Average short term pain reduction was 1.91 points, a 45% reduction from the mean pre-pain score. Forty-one percent of patients reported moderate/severe pain prior to receiving acupuncture, while only 15% indicated moderate/severe pain after acupuncture. The study concluded that acupuncture can be a viable adjunct to pharmacological approaches for pain management post total hip or total knee replacement. The protocol was very simple, Li 11, Li4 bilaterally and St 36, GB34, SP6 and Lv3 on the non surgical side along with auricular points Hip or Knee Joint and Ear Shen Men. The acupuncture was performed by NCCAOM certified licensed acupuncturists with between four to eighteen years experience. This study is useful for my clinical practice as patients and doctors are looking for effective pain management solutions, especially now that the “opioid crisis” is in the mainstream news.